In the 1970s, when Neil Collishaw started looking into the adverse affects of smoking, Canadians had no legislated protection from secondhand smoke. It took about 30 years of dedication, but since 2009, all Canadian municipalities have protected residents from smoke—at work and in enclosed public places. The thanks for this huge achievement go in no small part to Neil. Currently Research Director at the non-profit group Physicians for a Smoke-Free Canada, he has built his illustrious career working with a range of departments and organizations, including the World Health Organization (WHO), and the Bureau of Tobacco Control and Biometrics. He’s made huge contributions toward protecting Canadians—and, in fact, the world—from the harmful effects of tobacco. 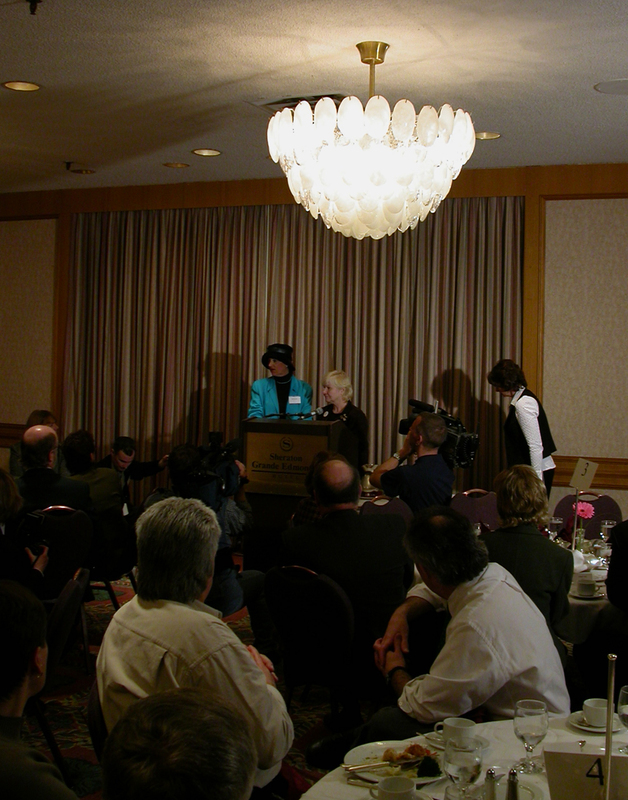 Highlights include playing a pivotal role in developing and implementing the Tobacco Act; being instrumental in launching the WHO Framework Convention on Tobacco Control (FCTC); and accompanying the late Heather Crowe on her cross-country campaign to protect Canadians from secondhand smoke in the workplace. His achievements and ongoing efforts have earned him many fans, including me. But one of his greatest admirers is his eldest daughter, Rachel Collishaw, a history and social science teacher at Ottawa, Ontario’s Glebe Collegiate Institute (GCI) who was quick to nominate her father as a Kickass Canadian as soon as she caught wind of my website. Unfortunately, not everyone followed in the footsteps of Neil or his father. Today, six million Canadian adults smoke, and they represent only about 0.5% of smokers worldwide. This is in spite of the fact that smoking—both firsthand and secondhand—is a known or suspected cause of more than 50 diseases or conditions, most of which are incurable and/or fatal. This kind of doubt, which extends to include dubious journals and studies that use “dodgy science” and report skewed results in favour of the tobacco industry, serves to feed the toxic cycle of smoking. “If you’re already a smoker, or are thinking of smoking, any sort of doubt like that is going to give you comfort,” he says. Add to that the fact that cigarettes are highly addictive (and that tobacco companies “monkey the cigarettes to ensure continued addiction”), and you have a pretty dangerous formula. Neil points out that both the matters of supply and demand (and the ongoing demand push) need to be addressed in order to arrive at a sustainable solution to banning smoking. He mentions the possibility of regulating the structure of the tobacco industry, so that profit-negating penalties would be implemented if they sold more cigarettes from one year to the next. But even if Canada were somehow able to suddenly shut down all tobacco companies, he says, “you haven’t done anything about the six million addicts. Even though they want to quit, they want to smoke, too… We already have a problem with illicit drug use, but of the illicit drugs we have, we have nowhere near anything like six million daily or near-daily users, which is what we’ve got with tobacco. In spite of Neil’s obvious passion for improving world health, he didn’t set out to be a champion for anti-smoking, or other healthcare issues. After graduating London Central Collegiate Institute (now London Central Secondary School) in 1964, he pursued natural sciences, and then switched to social sciences. 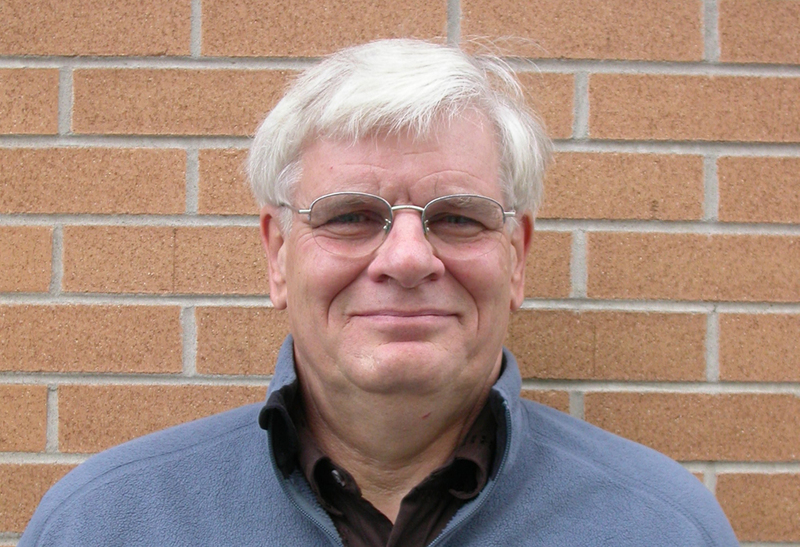 He completed a bachelor’s degree in sociology at the University of Western Ontario in 1968, followed by a three-term Masters in Sociology from the same school. But his first job out of university promptly landed him in the fields of health and medicine; he was hired in 1969 to document the admissions process at the Association of Canadian Medical Colleges (now the Association of Faculties of Medicine of Canada – AFMC). A go-getter from the start, he easily zipped through his daily tasks. So the association’s then-Executive Director, the late Dr. Wendell MacLeod, encouraged Neil to read various social medicine books, in between reviewing medical school applications. “I was blessed by the fact that Wendell MacLeod was the ED,” says Neil, who names Wendell as a posthumous Kickass Canadian for his outstanding life’s work, which includes helping to establish the Montreal Society for the Protection of the People’s Health in the 1930s, and organizing several people’s clinics during the 1962 doctors’ strike in Saskatchewan (which earned him the title of Red Dean, as he was Dean of Medicine at the University of Saskatchewan at the time). When Neil finished up at AFMC in 1971, he and his wife of three years, Barbara Collishaw (née Varty), embarked on a year of adventures that included studying French at the Paris Sorbonne University, and having their first of four children (Kevin, born 1972). After returning to Canada, Neil spent a few years working at Statistics Canada in Ottawa, before moving in 1974 to the former Department of National Health and Welfare’s Long Range Health Planning branch. In the seven years Neil spent with the branch, he was involved with many papers and initiatives aimed at incorporating primary prevention to reduce death and disease, from things like alcohol abuse, lack of exercise and smoking. “We looked at all the risk factors,” he says. “At the time, people were used to analyzing health problems in terms of diseases; there’s this much cancer, this much heart disease, and so on. We turned the whole perspective on its head and looked at health problems in terms of risk factors. It seems normal now, but it certainly wasn’t normal in 1974. With all this in mind, Neil left Long Range Health Planning with his well-founded belief in the dangers of smoking firmly formed, and moved to the department’s Bureau of Tobacco Control, and then on to its Environmental Health Directorate. As Chief, and then Head, of the Tobacco Products Unit, he was instrumental in preparing and defending legislation aimed at regulating the tobacco industry. The law was adopted by parliament in 1988, and then immediately challenged by tobacco companies. In 1990, a Montreal court sided with the industry, but Neil again worked to help the government, this time in winning a reversal of the decision on appeal. In 1995, the decision was again reversed—in the Supreme Court of Canada and in favour of the tobacco companies. The Tobacco Act was “quickly written up” and came into force in 1997, while he was working for the World Health Organization (WHO) in Geneva, Switzerland. Not surprisingly, the tobacco industry challenged the new act as well. By the time the case went to court, Neil had returned to Canada and was again enlisted to help the legal team defend the Act. When it reached the Supreme Court in 2000, it was favoured nine to zero, and remains in force today. Now, at Physicians for a Smoke-Free Canada in Ottawa, he continues to be part of the Framework Convention Alliance, which is a global non-governmental coalition that’s involved as an official observer in tobacco treaty negotiations and management. Neil’s work with Physicians for a Smoke-Free Canada also includes a powerful contribution that yielded some of the most dramatic changes to smoking in our country—not only as far as new legislation, but also with regard to shifting public perception. In 2002, Heather Crowe approached Physicians for a Smoke-Free Canada. She announced that she was a lifelong non-smoker with lung cancer due to exposure to secondhand smoke in the workplace, and that she wanted to help protect other workers from the same fate. 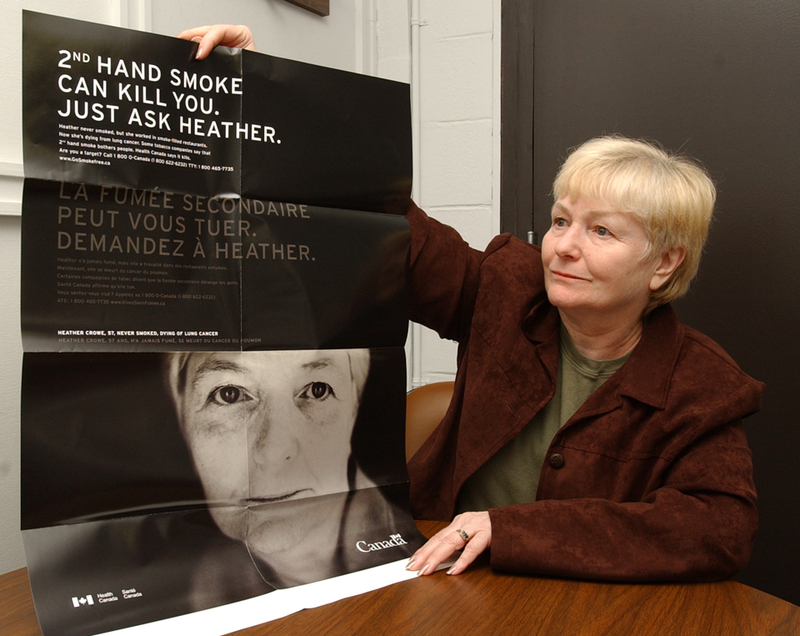 In response, the group made Heather their spokesperson for a national campaign in favour of controls on secondhand smoke. That “disarmingly simple” story packed a pretty solid punch. As Neil says, nearly everywhere Heather went, legislation soon followed. When he started working with Heather, only about 5% of Canadians had legislated protection from secondhand smoke at work. By the time she died in 2006, it was around 80%; by 2009, it was 100%. Heather’s contribution, along with the work of Neil and his colleagues, has had a huge impact on the health of Canadians. Over the past dozen years, the number of youth picking up smoking each year has dropped from roughly 560,000 to approximately 260,000. And although the tobacco companies are still raking in money from selling about the same amount of cigarettes that they did 50 years ago, the percentage of Canadian smokers has dropped significantly. Still, the costs for the toxic addiction remain frighteningly high. Tobacco-related illnesses leave Canada’s healthcare system with a bill of about $17 billion annually, and result in six million deaths worldwide each year. To remedy the problem, says Neil, “we need to start thinking big.” In his mind, that means setting a firm date by which tobacco will be phased out, and standing by it. He points out that other countries are already moving in that direction. For example, New Zealand’s parliamentary committee recommended that tobacco be phased out by 2025, and Finland passed a law in favour of abolishing tobacco (although no date has yet been named). Neil has his work cut out for him. Although Physicians for a Smoke-Free Canada is delivering outstanding work, they still have to fight for funding. With the 2012 budget in March, the federal government announced that it was cutting Health Canada’s contribution program component of the Federal Tobacco Control Strategy (FTCS), which had been a primary source of funding for Physicians for a Smoke-Free Canada (as well as for many other non-profit, tobacco-control community groups across the country). For the latest on Canada’s progress against tobacco, check out smoke-free.ca. To reach Neil, email ncollishaw@smoke-free.ca. The Environmental Protection Agency has concluded that secondhand smoke causes lung cancer in adults and greatly increases the risk of respiratory illnesses in children, and sudden infant death syndrome in infants. The carbon monoxide in tobacco smoke increases the chance of cardiovascular diseases, and children who breathe secondhand smoke are more likely to develop ear infections, allergies, bronchitis, pneumonia and asthma. Older children whose parents smoke get sick more often. Thanks for the input, Saundra. Secondhand smoke is clearly a serious health hazard. I’m encouraged by Neil’s work, and efforts like the Running Room’s Run to Quit campaign.